The Terminator easily took down the man with “a very particular set of skills,” Vito Corleone beat the director of The Godfather and legendary cigar smoking comedian George Burns reigned supreme over hip-hop superstar Jay-Z. 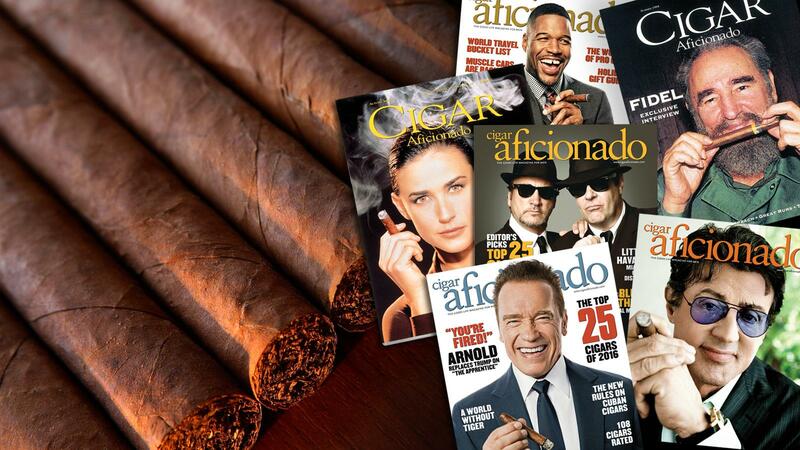 It was the opening round of the Cigar Aficionado cover challenge, a round of 64 of our top covers paired off against one another in a readers’ choice vote. The 32 victors move into Round Two, where readers can vote again to determine who will move on to the next round, the Sweet 16. Chuck Norris (August 1998) and Sylvester Stallone (August 2010) will go head-to-head in Round Two. Some of the first-round contests were blowouts. Arnold Schwarzenegger handled Liam Neeson, Robert De Niro took down director Francis Ford Coppola and Jack Nicholson easily beat Michael Douglas. “The Dude” Jeff Bridges trounced Liev “Ray Donovan” Schreiber, Bill Murray outmuscled Bo Derek by a factor of more than two to one and Pierce Brosnan got more than twice the votes of Gen. Tommy Franks. JFK, George Burns, Sir Winston Churchill, Nicholson and Bridges were the top vote-getters in Round One. There were a few squeakers. Chuck Norris just edged out Cuba’s supermodels; Fidel Castro barely beat Dennis Hopper; and in the tightest contest of the round, supermodel Claudia Schiffer beat hockey legend Wayne Gretzky by a mere 15 votes. 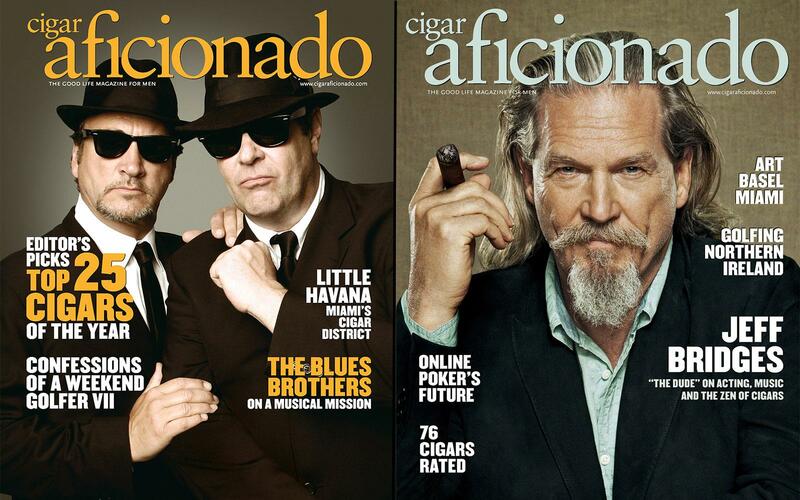 Round Two pits The Blues Brothers (February 2008) against Jeff Bridges (August 2013) in a battle of the über-cool. There are some interesting matches in Round Two. Tough guys Sylvester Stallone and Chuck Norris go head-to-head; mob movie star Armand Assante takes on the first family of the mob, “The Sopranos”; and it’s Jeff Bridges vs. The Blues Brothers in a faceoff of the über-cool. Cast your vote today—Round Two ends on Sunday, November 12. 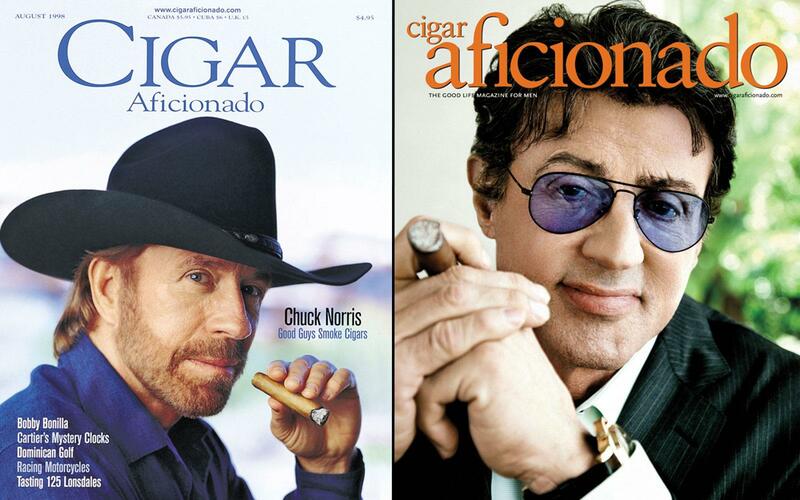 Click here to vote in Round Two of the Cigar Aficionado cover challenge.